In Europe, buying interest towards PP and PE has visibly waned as the market is dominated by bearish expectations for the next monomer contracts. Plus, December will be a short month in terms of working days and the impending year end book closures also discourage demand. Expectations for December ethylene and propylene contracts call for decreases ranging from €50/ton to €100/ton in line with upstream losses. As for ethylene, players pointed to the wide gap between November contract price and spot values. 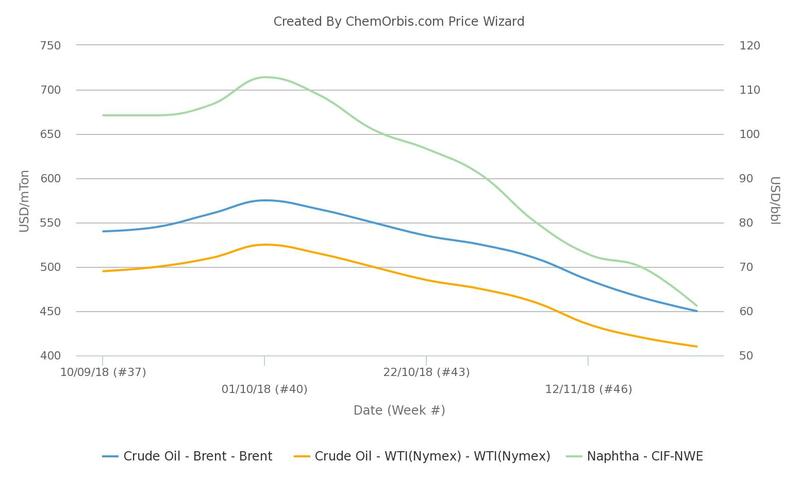 According to the weekly average data from ChemOrbis Price Wizard, spot naphtha prices on CIF NWE basis posted a cumulative drop of $95/ton since early November. Data also reveal that WTI and Brent crude oil futures have remained on downtrend since early October 2018, indicating respective decreases of $23/ton and $25/ton since then. As for PP, the majority of players think that PP has room to fall after following a mostly stable trend in November. Unlike PE, the current levels of PP prices are found quite high and some participants shared expectations for large December decreases. 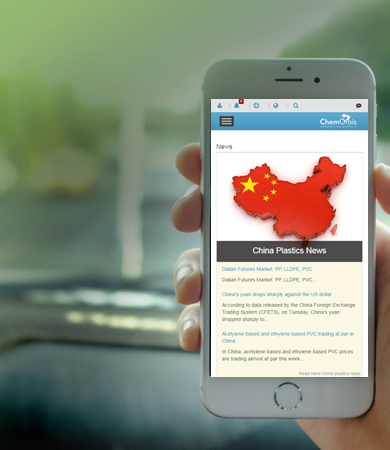 A compounder from Germany said that PP producers will follow the expected propylene drops given year-end lull and bearish global markets. However, there is a consensus that some PP sellers will not reflect the entire decrease amount in the next propylene settlement on their prices thanks to the balanced dynamics. Despite some regional disruptions, market fundamentals were mainly balanced as players did not report sturdy demand. The question at the core of this dispute is whether PE producers will be able to limit further price erosion or not especially if the awaited correction in December ethylene contracts materializes. Plus, the extent of sellers’ stock pressure ahead of the year end will be prominent in setting the tone of the market.